The Heavy Projects was founded to build and deploy emerging technologies in ways that explore the intersections between philosophy, art, and design. 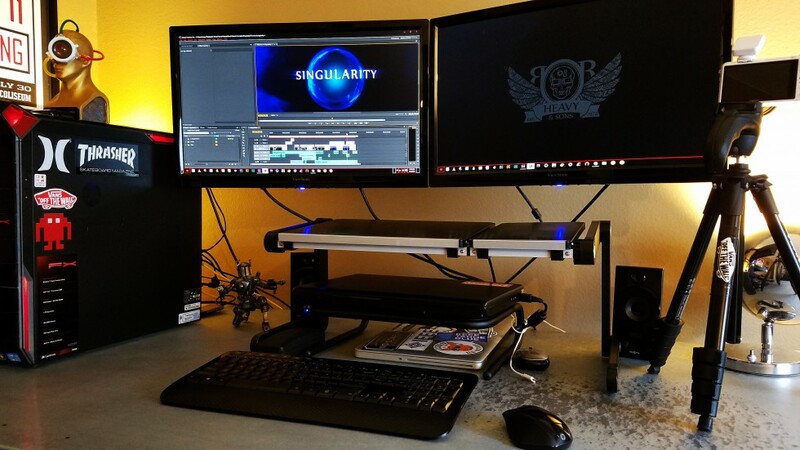 Singularity was built exclusively in Adobe After Effects and Premiere Pro with the Skybox Studio and SkyBox 360/VR Tools plugins. What led you to 360 production? We see technology in service of ideas and, as such, we are not tied to any one technology in particular. While we have done a lot of work with augmented reality, we are fascinated by the spectrum of mixed reality technologies, and we consider 360 video on that spectrum. We are intrigued by 360 because of its democratized nature, which is to say that, unlike VR, it doesn’t require expensive headsets and high-end computer hardware to view. One can simply watch it on their desktop and / or mobile device with or without externalities like cardboard or Samsung Gear. What inspired you to create this video? What message are you trying to get across? The work isn’t so much about conveying a “message” as it is about visual immersion into an idea. Created by The Heavy Projects and Heavy & Sons, this work is a VFX-driven, conceptual exploration of the singularity hypothesis that the invention of strong artificial intelligence will trigger runaway technological growth, resulting in profound changes to civilization. Ultimately, what is deemed “artificial” intelligence is inherently infused with humanity as AI is its creation. 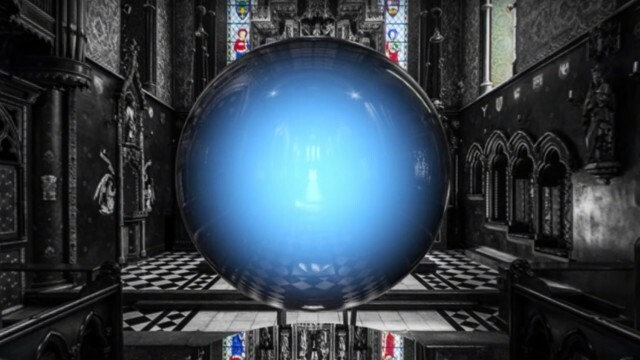 At the end of the film, the resulting sphere, or singularity is a kind of mystical entity that isn’t just purely technological. It looks heavily inspired by video game environments. Are you a big fan? If yes – which ones. 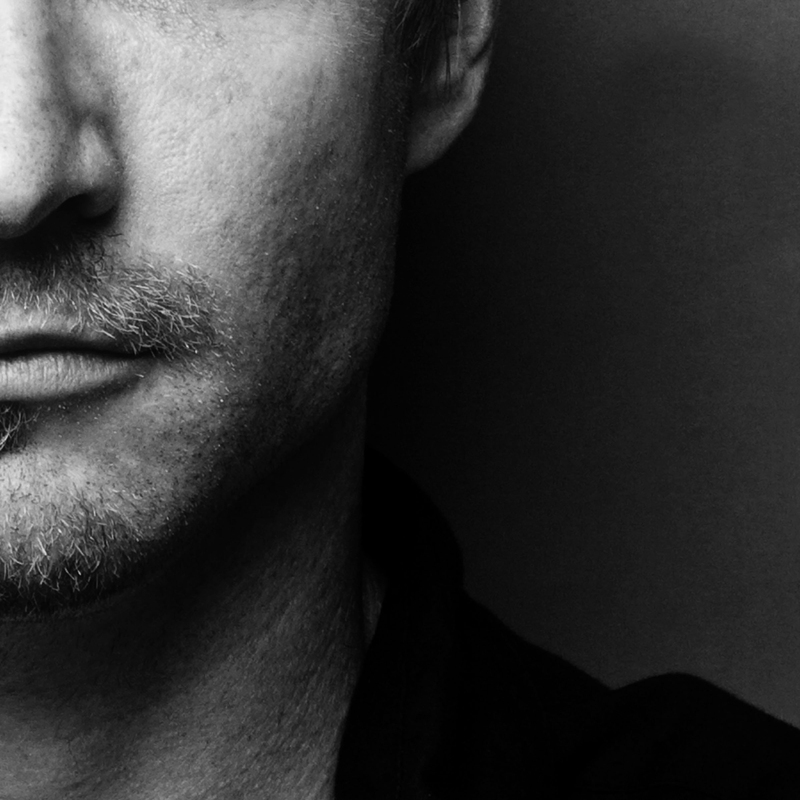 Ummm… I’m a great admirer of video games as a visual art form… but I’ve made a conscience choice not to play much as I have an admittedly addictive personality and I don’t want to end up homeless 😉 Video games have become much more cinematic, so possibly that’s where the aesthetic connection lies. I’m a big fan of films like Ridley Scott’s Blade Runner, Kubrick’s 2001 and Solaris… both the Tarkovsky Soderbergh versions. Describe your production pipeline, from concept through Post. As with AR and VR, I think we’re all still stumbling around to figure out best practices, which is kind of an exciting proposition. 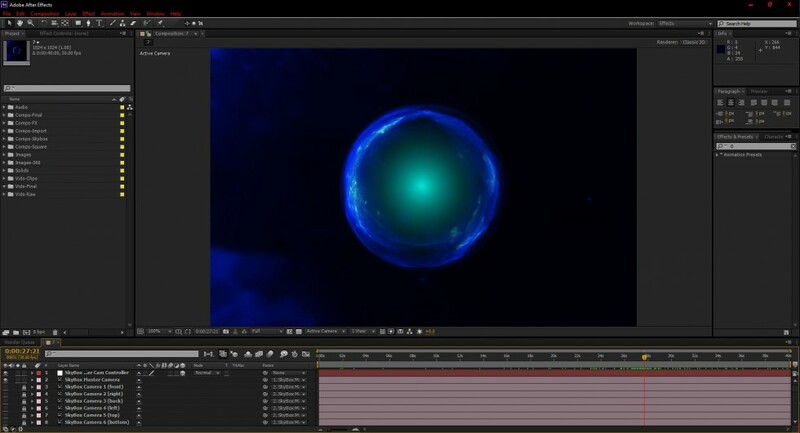 My 360 pipeline might be a bit unique in that I don’t use Unity on the production side, but rather composite everything in Adobe After Effects. 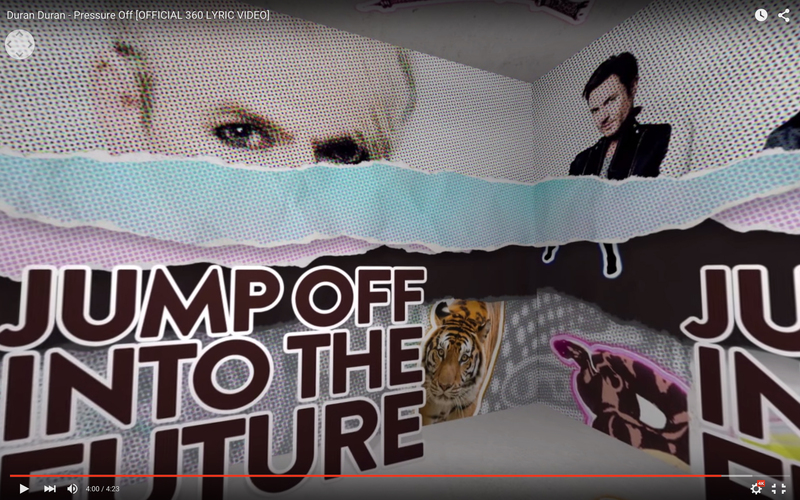 The 360 video is mixed-media and created from a combination of VFX created in AE, static equirectangular [cc] images with VFX integrations, and the Skybox plugin. Since, unlike VR, the viewing subject can’t move in Z-space, I animate the AE camera to provide the scene with a sense of movement and depth. I use the Skybox plugin to create the first round of high resolution 4K 360 video renders, which are then reimported back into AE for another round of VFX compositing including 3D animations. Finally, the individual AE renders are edited, sound mixed, and encoded in Adobe Premiere. 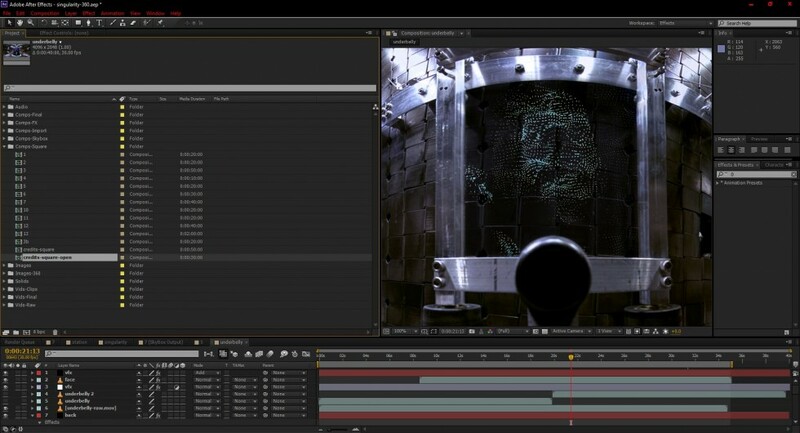 Creating VFX in After Effects in a 1024×1024 composition with a transparent background to add to a later composite. 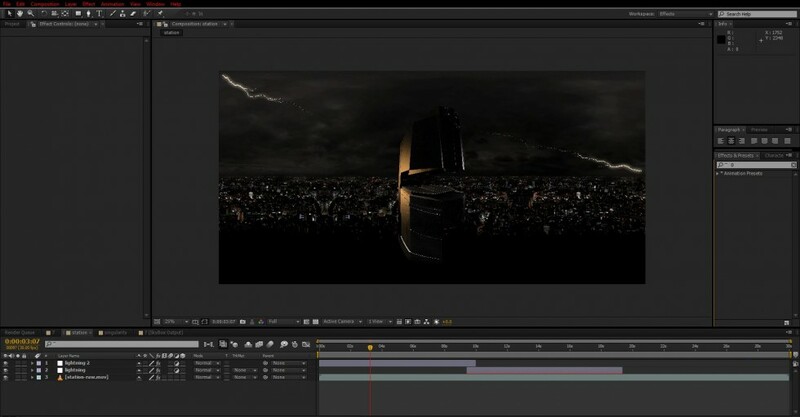 Creating VFX in After Effects in a 1024×1024 composition with a 360 background. 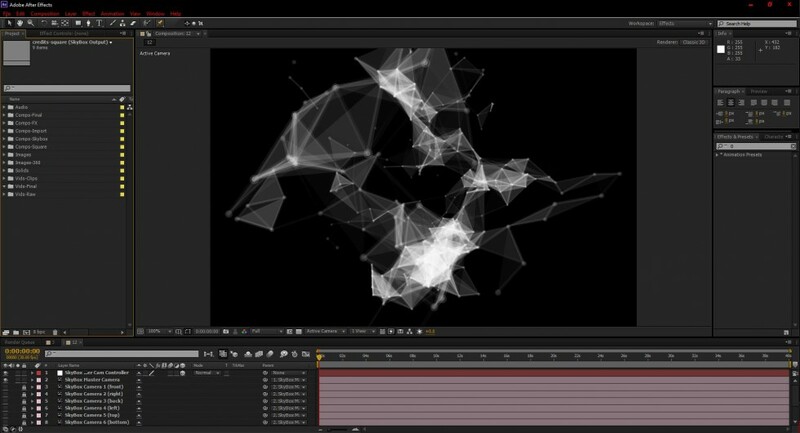 Compositing Trapcode video VFX onto static equirectangular background. 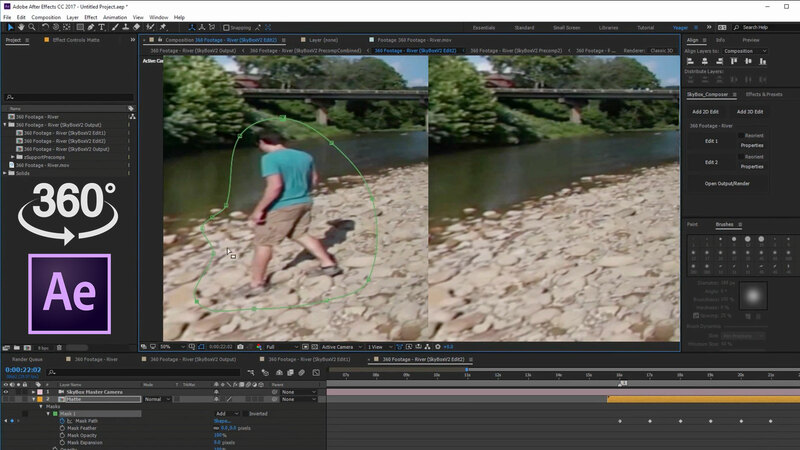 Example of second round of VFX compositing. 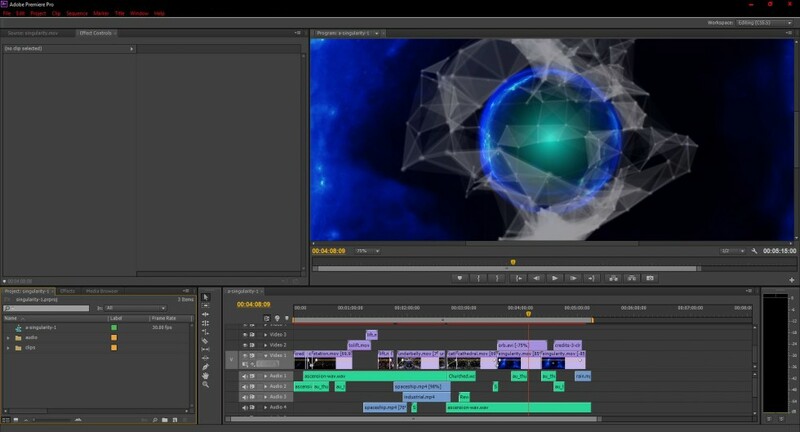 Final editing, sound mixing, encoding in Adobe Premiere. How did you find out about mettle plugins? I first heard about Mettle plugins at an annual augmented reality conference [AWE] I sometimes speak at in Santa Clara, CA. 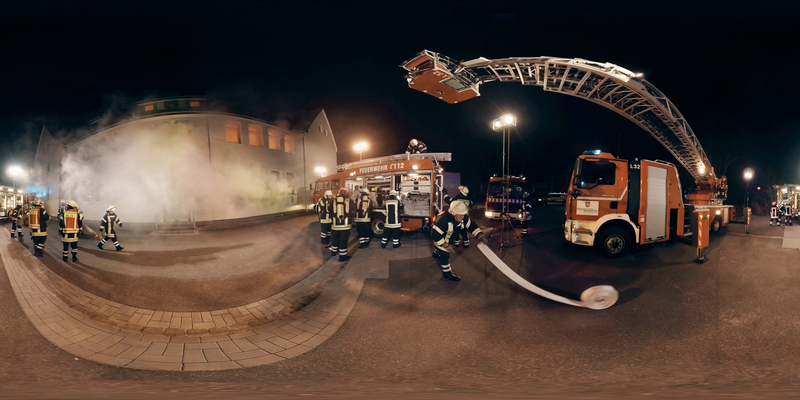 I was chatting with a mate and colleague from USC Annenberg, Robert Hernandez, who is doing some amazing things with VR journalism and 360 video. We were talking specifically about different kinds of 360 pipelines and he mentioned Skybox as a solution and I started experimenting from there. It’s an exhilarating time as we try and figure this new cinematic medium out together in community. BC [ Heavy ] Biermann has an interdisciplinary background that comprises technology, philosophy, and the arts, and he has worked as both a university professor and a tech developer. In 2005, BC founded The Heavy Projects [and its conceptual spin-off Heavy & Sons in 2016] as a means to technologically explore his internationally presented academic research, which investigates the intersection of emerging technologies and semiotics. Equal parts academics, futurists, developers, and artists, The Heavy Projects believes that ideas are transcendent and what move people.